I started playing Noumenon’s fantastic puzzler, Snakebird, the second it hit iOS, but there’s still a few levels I haven’t solved yet. I’m fine with this, because it means I still have some Snakebird to play. Whenever I have some free time and a clear head, I can just mess around with these elongated birds and try to solve one more puzzle. I won’t ask for help — not even a little — because that will just rob me of the last few bits of enjoyment and satisfaction this game can give me. As long as there’s still something for me to solve, I can still enjoy what might possibly be my favorite puzzle game ever. Once multiple birds are added, they can climb on top of each other and even push each other around. And later, things like boxes and portals are added to the mix. The game’s physics aren’t really explained to you, so you’re expected to play around and discover them for yourself. It won’t take you long to find out that falling on spikes or into water kills the bird. But it takes a little more experimentation to realize they can go onto spikes as long as all their weight isn’t resting on it. And even though some of the physics can be a little odd at first, they remain consistent throughout the game. It never once felt unfair to me. If it took me longer to discover a certain mechanic, I blamed myself, not the game. And usually you don’t discover a mechanic earlier because you simply don’t need to. Ingenuity, as they say, is born out of necessity. New environmental tools or obstructions are added, but the laws of physics themselves don’t change. Only your understanding of them does. While some might find it frustrating that the game doesn’t include an in-depth tutorial to explain how everything works, I actually found it refreshing. For anyone who’s played a dozen or more match-three games and feels like punching their phone if they have to sit through one more tutorial on how to match three candies, you’ll appreciate this minimalistic take. The game is not condescending. It just wants you to take your time to uncover all its secrets, instead of having it all spelled out for you. And yes, this could have been an incredibly frustrating game that I might have given up on early on — if it didn’t have an “undo” button. 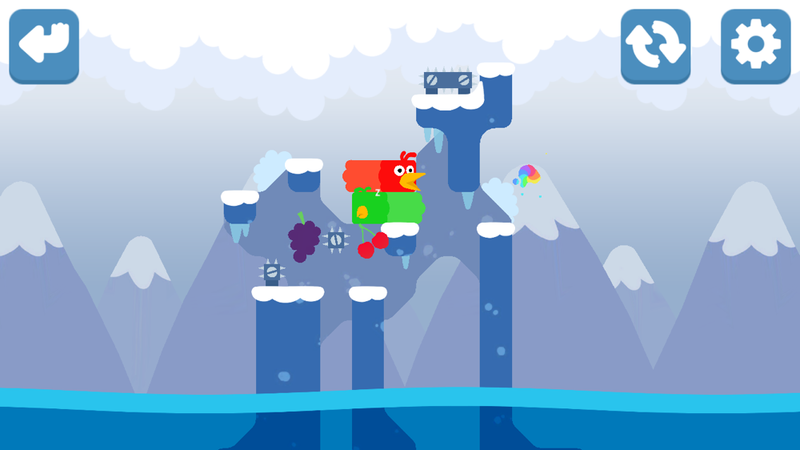 Luckily, we don’t have to imagine a world where Snakebird doesn’t have an “undo” button. But there are plenty of similar games out there that don’t, so I’d like to talk about it a bit. Since playing, I can’t help but compare every new puzzle game to this one. Deus Ex GO is the latest victim. 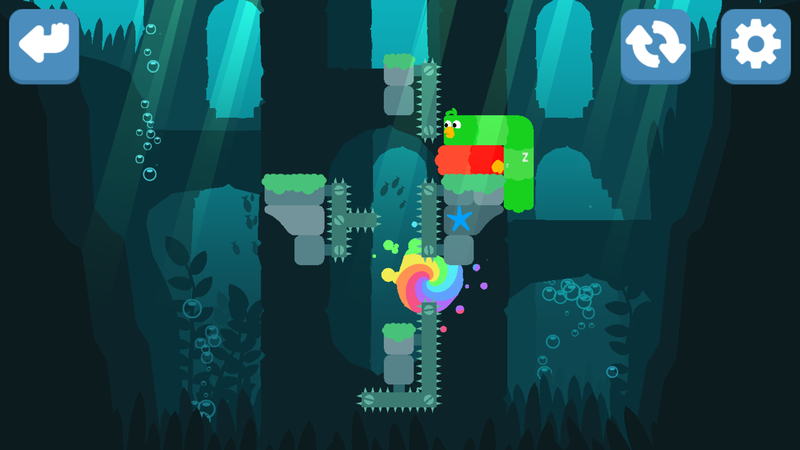 Snakebird is just such a perfect example of a developer respecting both the player’s time and intelligence. Nothing is dumbed down. There is no filler or fluff in the game. Each and every one of its fifty-odd puzzles will work your brain. But there is an unlimited “undo” button so you don’t have to keep restarting and tracing your steps back to where you went wrong. Even when you die, the game automatically undoes your last move for you instead of making you start over like in most games. You might think this would make the game too easy. But that’s just the thing. Even with that “crutch,” as some might call it, you could end up staring at a single puzzle for an entire day — or longer — before the solution comes to you. Being able to undo as much as you want just removes the frustration and tedium that comes with restarting a level after any little mistake. The fact that the game can still remain so challenging despite this speaks so much about its cleverness. There’s no reason for the developers to add these penalties we’ve all gotten so used to just to stretch out the length of the game or make it seem more challenging than it really is. Instead of forcing players to tediously restart a level every time they mess up, they let us just fiddle around and play with the birds until we find the solution. And that trial-and-error aspect of the game is one of its best selling points. Pushing and prodding those snakebirds and experimenting to see what happens is a huge part of the fun. Some folks might be able to look at the screen and see exactly what they need to do. But for most people, it will involve some trial and error. You think you have an idea of what to do, so you try it. If it fails, you change your strategy a bit. It might not be for everyone, but I found it thoroughly engaging. Some of the puzzles look simple at first but can be deceptively tricky. Others seem difficult at first, but have a surprisingly simple solution — in hindsight, at least. You’re also given access to several puzzles at a time. Completing a level unlocks at least one more, not necessarily in a linear fashion. This means you can have some later levels unlocked, but it’s up to you to decide if you want to give them a try or limit yourself to playing strictly in order. At first I lamented that all levels aren’t unlocked right away, but I soon came to appreciate the way they did it. It gave me some freedom to try other puzzles when I got hopelessly stuck on one, but still gave me some direction. If all the levels were available right away, it might have a been a bit overwhelming. Each person will find certain levels easier than others. That’s how most (good) puzzle games are. Everyone’s mind just works differently and something that’s easy for me might take someone else longer to get. But that’s why it’s so important to have a few levels unlocked at once. The developers do stagger it, but they don’t force you to play one level at a time in the order they think it makes sense. To make things even more user-friendly, progress is saved exactly where you left the game. So if you’re struggling with a puzzle but need a break, you don’t have to worry about losing your place. It’s the perfect mobile game. And it’s easy to play in any environment, since there are no timers or move limits. There’s nothing to worry about but playing around and trying to find the solution at your own pace. Sure, the puzzles would be just as genius in simple 8-bit pixel art, but I know it wouldn’t have drawn me in quite the same way. Maybe it’s shallow of me, but the art kept me coming back even when I got frustrated. If I’m going to stare at a screen for long periods of time, it helps that it’s easy on the eyes. And the chill soundtrack knows how to blend into the background, never getting annoying. When you complete a level, the game says “Well Done!” and shoots off fireworks. Normally this would annoy me in a game, as many puzzle games these days start off super easy and take a while before they show what’s up their sleeves. I don’t need to be congratulated for matching three gems. 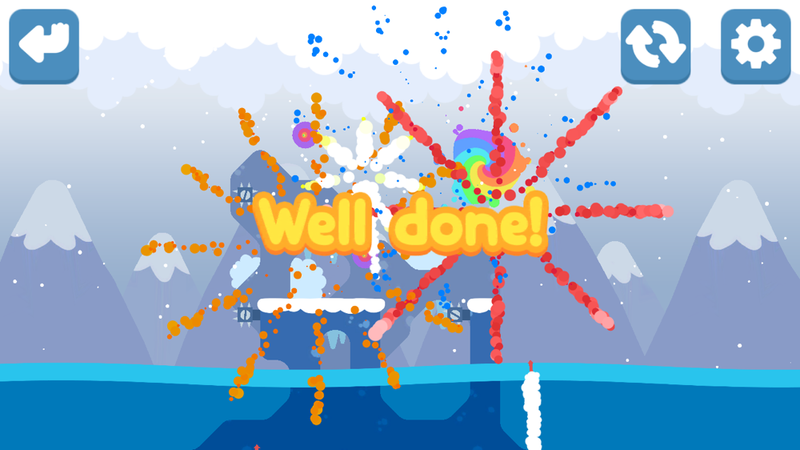 But when I worked my brain for each and every level, it’s actually nice to have some fireworks at the end. I have only two complaints, and they’re minor in the big scheme of things. I wish the game had iCloud saves so I could pick up the same game on both my iPad and iPhone. But it plays comfortably enough on my iPhone that I haven’t really missed my iPad. But I also wish it worked in portrait mode. It would be the perfect one-handed iPhone game, but it’s locked in landscape mode. I imagine if it had been designed for mobile first, it would be different. But I can understand why it’s like this, since it started on PC first. And that’s it — those are the only things I can think of that this game is missing. 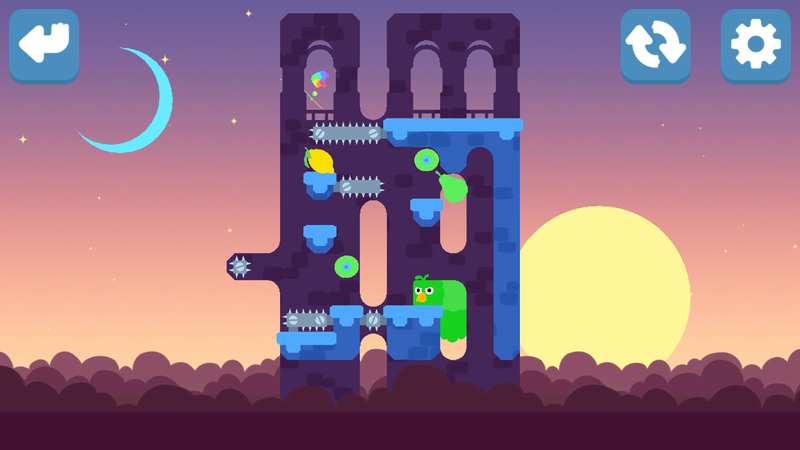 Snakebird feels like it was designed specifically for me. It is everything I love in a puzzle game. No filler, no loading screens, no timers, nothing but me and the puzzles. 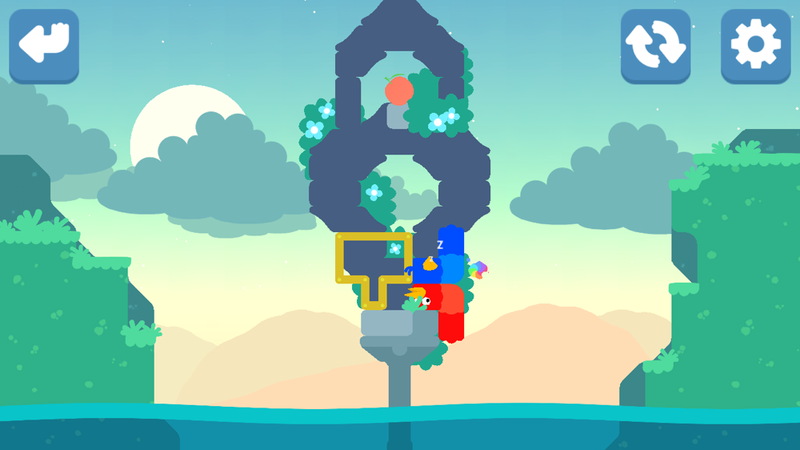 It will be hard for me to play a puzzle game after this without comparing it to Snakebird. I hope developers working on touch-based puzzlers will look at it to see how to cut out the fat and truly show they respect their players. 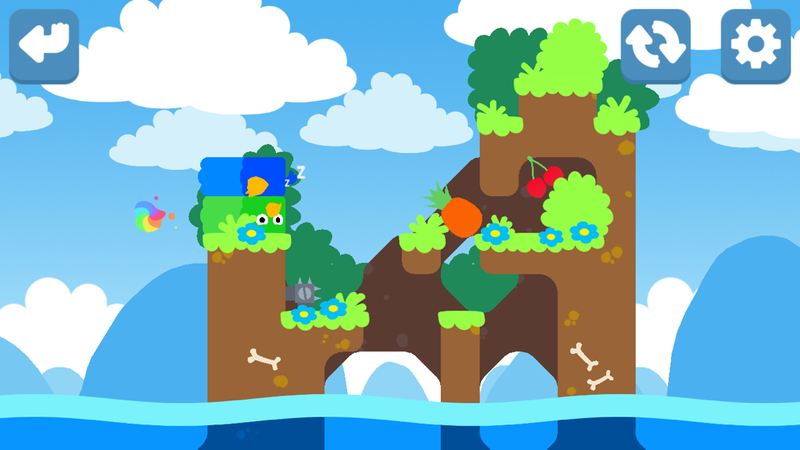 I really can’t praise Snakebird enough. It should be a template for designing puzzle games for those who aren’t just looking for a time waster. It’s a brain trainer disguised as a charming game. 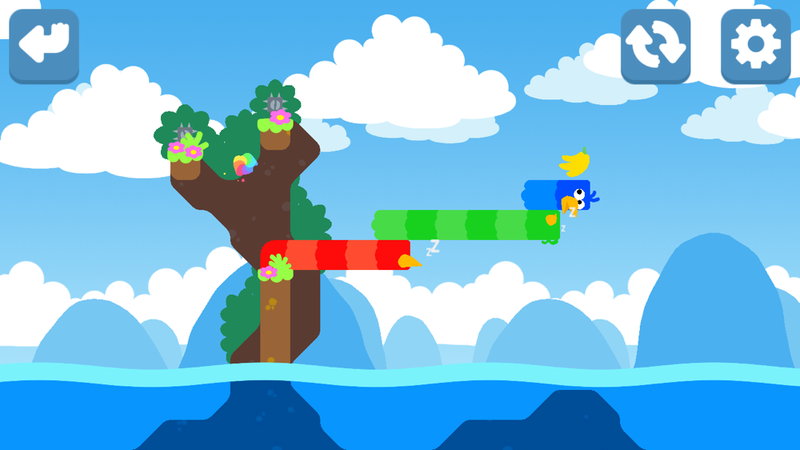 If you want a game that doesn’t hold your hand but still respects your time and intelligence, Snakebird is for you. And you don’t even have to take a monetary risk to see if you’d like it. It’s free to play the first few levels and then you can pay one $3.99 IAP to unlock the rest of the game. There are no timers, no currencies, nothing but you and those adorable feathered snakes. So what are you waiting for? Hit that download button and try it out for yourself! 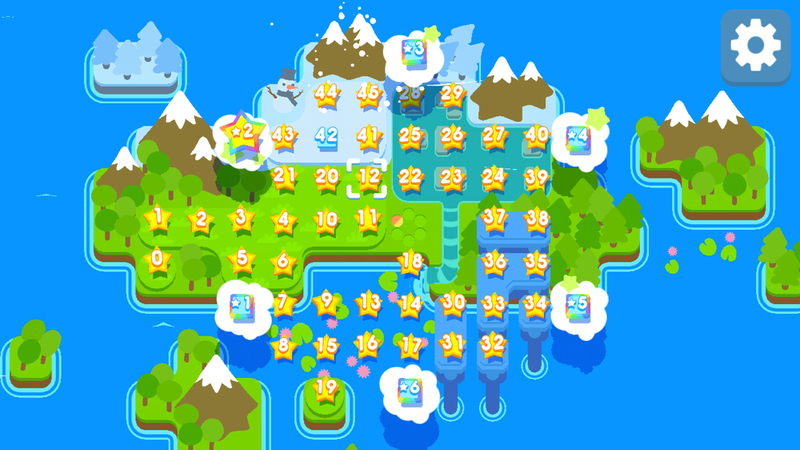 If you’re stuck and you absolutely insist on getting some help, you can try my Snakebird walkthrough guide.